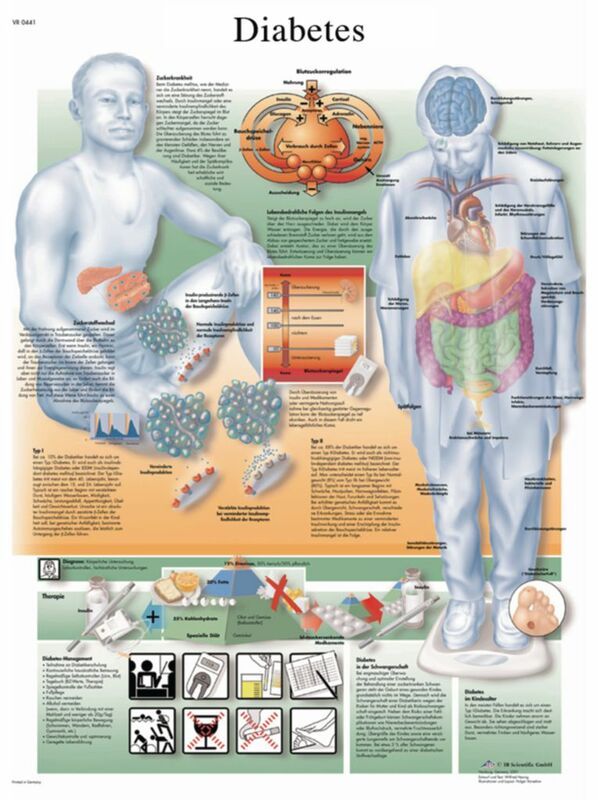 This anatomical chart details the disease diabetes. 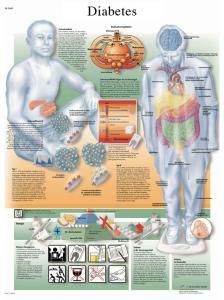 The poster tells about the causes and effects of the disease as well as going over treatments for diabetes. This anatomy chart is a great diabetes teaching tool for a classroom or doctors office.